Yesterday, 1-21-2019, we wrote Part 1: Nvidia's Massive Breakthroughs. This is part two, which is dedicated to our interview with CEO and founder Jensen Huang (which Tiernan recorded for us while at CES). We have added emphasis to certain comments with bolding and we have added charts where appropriate. Before we get to the full story, as always, we have hand selected some highlights. These are direct quotes from the CEO. * We are taking to market now  the first auto-grade self-driving car system in the world. * [China] not an issue for us. All our system assembly is largely done in Taiwan. * Q: What do you think about your stock price? A: It's completely a crypto hangover. We shipped no crypto GPUs into the channel last quarter. In several more weeks, 1060 will sell out, and we can be back to business. Below we include Tiernan's full story, from commentary to interview. Nvidia chief executive Jensen Huang is always an engaging subject for interviews and he excels when put in front of a group of reporters. At the Consumer Electronics Show in Las Vegas two weeks ago, Huang was in his usual fine form as he energetically engaged a group of reporters at Morels French Steakhouse & Bistro in the Palazzo hotel. At heart, Huang is in love with the technology that goes into his products, and his enthusiasm is evident in the energy and the technical references that come out in such discussions. Huang kicked off the company's announcements for the week, which were dominated by the unveiling of its newest consumer gaming video card, the "GeForce RTX 2060." He was asked about competitor Advanced Micro Devices and offered a couple sarcastic remarks against that company's lack of technology, in his view, the kind of comments that reporters love because they sound juicy. Huang also defended his reference to the company's decision to brand a new automobile technology as "AutoPilot." When a reporter asked whether the phrasing is misleading, Huang defended the technology, called the labels other vendors apply "a tragedy," and dumped the matter back in the reporter's lap, saying "What would you call it?" As for his stock price, Huang implied the price at the moment is suffering because of the inventory overhang caused in GPUs by the crypto-currency market implosion in the latter part of last year, which he sees being resolved in another quarter or so. He urged everyone in the room, to "Please don't buy any more" crypto-currency, an exhortation that drew laughs from the group. Following is the transcript of Huang's opening remarks and the Q&A with reporters. Jensen Huang: I just want to start by talking about what we announced this week. We announced four things. First, the RTX 2060 is here. It brings ray tracing for the masses, it's in systems from every single PC maker in the world, and so next-gen gaming is on! Nvidia sees the current total addressable market (TAM) as $7B but rising to $100 billion. The graphics performance is very, very good. It is designed to address a third of the gaming installed base, where most of the players are still on parts like the 970 and the 1060. The 2060 is going to be bundled with "BattleField V" or "Anthem." We demonstrated how you can turn on ray tracing and not sacrifice performance, that's because it's happening with light rays, rather than with triangles. This is an order of magnitude compute larger than rasterization, but we made it work in real-time. We generate select pixels, and then we predict the remaining pixels with DLSS [Deep Learning Super Sampling, a Nvidia machine learning approach for graphics], and the image is just beautiful, just beautiful. RTX is a brand-new way of doing computer graphics. The second thing, we said there are 40 brand-new notebooks coming with GeForce RTX. This cycle, we have been designed into more laptops than at any time in our history. For the maximum efficiency and performance at the same time. It's hitting the knee of the curve. There are 17 Max-Q notebooks coming to market, it's just an incredible number of laptops that are very powerful notebooks but also thin and light. One example, just 18 millimeters thick with a 2080 inside! It's twice the performance of a PS4 at one third the volume! So, Max-Q has made it possible for gamers to have a powerful gaming platform anywhere they want. And you know, the notebook gaming platform one of our fastest-growing businesses. So, put your orders in now. We think building a gaming laptop is different from building a laptop for gamers. They are humans, too, they don't just play games. They want to do 3-D design and video editing. So, we made it possible for it to render like a workstation and edit raw 6K video in real time. It's been impossible to do that on a laptop at any time before now. It's a professional video encoder, and it will let you broadcast your games to Twitch and such. You know, there are eight million broadcast gamers around the world who use their laptop as a broadcast station. Third, we announced a commercially available "Drive Autopilot" system, with fully integrated chip and software stack, powered by Xavier. This is going to let the industry achieve Level 2-plus ADAS [advanced driver-assistance systems.] That includes all the functions you would expect for autonomous driving, but with a person still in the loop. That means, I should be able to just say, take me to work, the car pulls out of the garage and drives down the lane, and it goes on the highway and it changes lanes, and it just takes me to work. Now, we've driven on four highways, fifty miles, around Silicon Valley, completely hands off. So, we are taking that to market now. The first auto-grade self-driving car system in the world. The first customer is Volvo, and there will be others to be announced. We also announced that Daimler asked us to build their next-generation car computing system. That will be one system for autonomous driving and one system for the user experience. The software can be easily updated. It will be software-defined, it'll remove the enormous number of ECUs [electronic control unit] in the dash. And it's all really part of this broad picture where in future, car companies will have to be software companies. Daimler knows this. We will work with them and ship it as soon as we can. Q: In talking about the work with Mercedes, is that "Drive-plus plus," or next gen...? Q: What did you think of AMD's "Radeon VII," which they announced at their keynote this morning? JH: Wow. Underwhelming, right? The performance is lousy. It's a 7-nanometer chip with HBM [high-bandwidth memory] that barely keeps up with our 28-nanometer parts. If we turn on RTX, we will crush it! Our 28-nanometer is all over the world, already. Theirs, well, I think it's going to be available on their Web site! It's a weird launch. Maybe they thought of it this morning. Okay, wait, can I take all that back? Oh, come on it's funny. I'm not going to make any more jokes. You know how funny I can be. Q: What's your view on China and tariffs, how is it affecting the industry? JH: It's not an issue for us. All our system assembly is largely done in Taiwan. Our business in China is - I hate to bring this word up... No, I'm not going to… Our business was impacted because we had excess inventory that would have taken us one to two more quarters to sell. Basically, we will sell through all our inventory post-crypto in the channel between one to two quarters from last quarter. That excess inventory has been largely reported, and so much so that I hope you guys don't report it again. The point is gaming is just fine. Gaming laptops had a record year in China. Q: Do you see any pickup in crypto? JH: God, I hope not. I don't want anyone buying crypto this year. Can we please agree to that? Please, just, no more buying crypto. Unless it's bitcoin, not ethereum! Q: everyone talks about 5G. What does 5G mean to you? JH: I'm happy just to get 3G sometimes! I was having a cell signal issue right here in the hotel, I thinking I was getting two-and-a-half-G! 5G, I don't think it's going to change anything. You will never have perfect coverage. That's why you will have hybrid cloud. But when you want to download, it will be a little faster. It's good. I'm in support of Fast. Q: [John] Hennessy and [David] Patterson [noted computer scientists] have said that domain-specific architectures are going to be the future of chips. So, will you add more and more domain-specific architectures or will you focus on expanding general purpose compute functions? JH: Well, Hennessy and Patterson were dual recipients last year of the Turing Award. They are very smart, and they are two friends of mine, and there is no one more deserving of that award. The fundamental premise of domain-specific is that Moore's Law has ended. You can't increase performance without increasing power. Moore's Law used to grow ten-X every five years [in performance], and one-hundred-X every ten years. Right now, it's growing at a few percent per year. Moore's law has finished. Now, a GPU is not general. The "G" was not for general, it was for graphics. The GPU is very, very good at linear algebra, and multi-variable simultaneous equations. And so, you could apply the basic approach of this domain-specific processor to some other domains. Over the years, we have opened up the GPU to other domains. In fact, cuDNN [CUDA Deep Neural Network from Nvidia] was the first domain-specific processor library. So, every single market we go to, we have created a domain-specific language. But very carefully. We don't want to be a general-purpose chip. Q: Why are you calling the Level 2 capabilities "auto pilot." Isn't that somewhat misleading? JH: We created the autonomous vehicle computing system. You can't drive it, you still need to add wheels and body parts. Today's Model 3 that uses Drive PX is about three years old, and it defines the state of the art today. Level 2, most people don't know what that means. So, we think that autopilot is a good way to calibrate expectations. I mean, can you imagine where the Model 3 will be in twenty years? Q: But you're saying it's okay to call it auto pilot, but then you're saying people don't really understand what it's about, so why give it a name that could be misleading? JH: What would you call it? It is nonsense to compare what Tesla has in the Model S to what is in ADAS Level 2. Look, it drives me to work every day, it's the only driver assistance software that works. L2 has been destroyed by ADAS. It doesn't say ADAS-plus. People have taken an ADAS chip and added a little software and called it Level 2, and I think it's a tragedy. Q: Why not use Level 3 or higher? JH: Because we put so much to thought into Level 2. There is going to be a lot of functionality to make sure you are not dozing off. There's going to be a lot of work to be done still, but autopilot [in Level 2] is great. You should really try it. Now, Level 5 is actually easier than levels 3 and 4. Because the speed is reduced because the application there, they are taxis. Level 3 and 4, they could be on the highway, so they are a lot more challenging to do. We have to go step by step with this. Q: How are you feeling about RTX? JH: Well, everything starts from zero. With shaders and tessellation, it started from zero. But what we are going to do is with each game, add DLSS to it. Q: Is Level 5 [ADAS] impossible? JH: Well, to me it is a robot taxi, and as far as I'm concerned, it's done. They have to do some testing. But it works. Every level has a challenge. You can't drive under the ocean! Q: What's your perspective on HBM [high-bandwidth memory], when will you put it in products? JH: For consumer products, it's expensive, right now. I love HBM, but I love DDR6 way more! Q: In ADAS, computer vision is the big thing for achieving results, it seems. 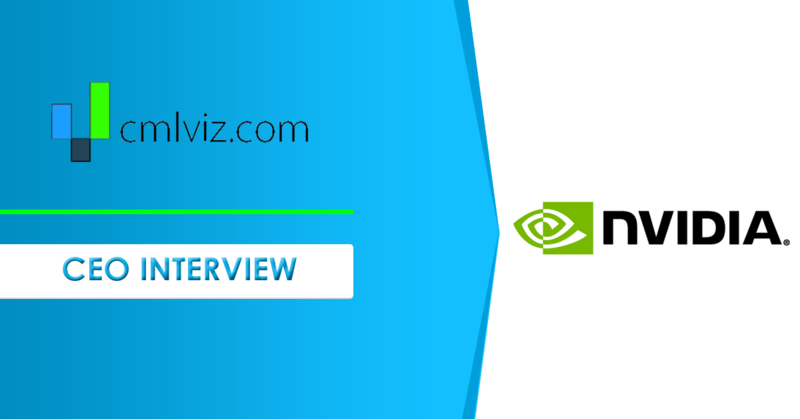 How does Nvidia solve it? Q: Do you have anything to say about Adaptive Sync versus AMD's "FreeSync"? JH: As you know, we invented the area of adaptive sync. The truth is, most of the FreeSync monitors do not work. They do not even work with AMD's graphics cards. And so, our strategy is this: We will test every single card against every single monitor against every single game. And so, we believe you have to test it to say that it works. Q: What's the future of Shield and [Nvidia's system-on-a-chip] Tegra? JH: Shield is still the best Android TV in the world. We keep adding software to it, and there are more enhancements to come. We don't aim to take people's market share. I think that's an angry way to run a company. That's not our style. Q: With the success of the Nintendo "Switch," will you work on any tablets or portables? JH: Only if the world needs it, and so far, I don't see it. I don't think so, maybe not yet. I think Tegra has done such a great job. Q: Do you see a cross-over for you into AI chips? JH: Well, we were the world's first computing company to jump into and build a system for AI. AI has three chapters. The first chapter is building tools. CUDNN has been integrated into every framework out there. That entire AI stack is chapter one. We have democratized deep learning with that. The second chapter is deep learning, and specifically deep learning being applied to services in the cloud. Amazon and Netflix are doing this in the cloud, so is anyone who has data. The third chapter is all about the industries that will be transformed by AI. That's really where AI comes out of the cloud, and into the world. Robotics is a big part of that, but the first part of that is the car. The second thing, is manufacturing robots, robots that take on manufacturing tasks. You know, delivery services are challenged all over the world. There just is no economical way to deliver a candy bar to a dorm room, it's just not economical, not with a human delivery person. That's a task robots could help with. So the robot revolution is upon us. Our strategy is RTX, HGX and then, next, our robotics system, called "Isaac." So we are just methodically going through this and it's going to get better and better. Q: What do you think about your stock price? JH: It's completely a crypto hangover. We shipped no crypto GPUs into the channel last quarter. The inventory divided by velocity is time, okay? In several more weeks, 1060 will sell out, and we can be back to business. Q: Any thoughts on Intel's competitiveness in graphics? JH: Well, Intel's graphics team is basically AMD's graphics team. There is a conservation of graphics teams. We respect Intel a lot there is a lot more collaboration between us. AI is going to be the future of computing. And so, we want to create an architecture to accelerate all of that and the pace of computing as well. Because people have different ways of doing things. I think we are doing a lot of good work there. It makes sense there are going to be a lot of people pursuing that. Q: As far as cloud gaming, where are we on road to true streaming? JH: There are a lot of efforts, starting with Nvidia! We have hundreds of thousands of users. But if you're asking when [it's] going to be as good as the PC, the answer is never. Because we haven't solved one problem, the laws of physics. We believe PC gaming is here to stay. Because you need a PC because knowledge is apparently still important. They are the device for young people, the machines they learn on. When they buy these games on Steam etc., we want them to take that someplace else, a TV or a mobile device, but that all starts with PCs. Q: There was some negative reaction to the press conference on Sunday. What do you say about that? JH: I would like to say ... 2060! Last year, we just weren't ready to launch it. All we had were the high-end versions for it. We only had the high end. They [gamers] were right. They were anxious to get RTX in the mainstream market. They were chomping at the bit. They were anxious that we didn't have a mainstream price point. Now we are ready. It's more powerful than a PS4 and it's only $349 and they can do 3-D modeling, and they can do professional 6K video editing, and they can do it on a laptop. My answer to all their frustration is 2060 is here, and next-gen is blasting off. It's understanding technology that gets us an edge to find the "next Apple," or the "next Amazon." That's what we did with Nvidia, first naming it a crown jewel of technology in October of 2015, with the price at $25. Ophir is long shares of Nvidia at the time of this writing. Tiernan has no position.